Research Interests :The main goal of our research group is the genetic mapping and molecular isolation of economically important traits in cassava (Manihot esculenta Crantz) using molecular markers and associated techniques. Our area of research focuses on the identifcation and mapping of all the genes involved in agronomically important traits in of cassava such as high yield and starch content, low cyanide and resistance to diseases. This research will lead to a better understanding of the genetic basis of biological diversity and will improve the breeding program of cassava for better varieties with desirable traits. The major technique used to achieve our goal is Simple Sequence Repeats (SSR) or microsatellite, and Single Nucleotide Polymorphism (SNP) to generate our genetic maps. QTL analysis and positional gene cloning for important traits are also exploited. Our group will continue to develop new mapping tools to further refine the genetic map of cassava in order to obtain a more detailed picture of the genome and chromosome structure of this economically important crop. The long-term goal is to provide breeders with a fast and automated system for the analysis of qualitative and quantitative traits in their breeding program, also known as Marker Assisted Selection (MAS). 1. Sraphet S, Boonchanawiwat A, Thanyasiriwat T, Thaikert R, Whankaew S, Smith DR, et al. Quantitative trait loci underlying root yield and starch content in an F 1 derived cassava population (Manihot esculenta Crantz). J Agric Sci. 2017;155(4):569-81. 2. Utsumi Y, Tanaka M, Kurotani A, Yoshida T, Mochida K, Matsui A, et al. Cassava (Manihot esculenta) transcriptome analysis in response to infection by the fungus Colletotrichum gloeosporioides using an oligonucleotide-DNA microarray. J Plant Res. 2016;129(4):711-26. 3. Tappiban P, Sraphet S, Whankaew S, Thaikert R, Jenjittikul T, Smith DR, et al. Assessment of genetic diversity and relationships of Krachaai Sayam, an endemic plant in Thailand using microsatellite markers. Plant Biosystems – An International Journal Dealing with all Aspects of Plant Biology. 2016;150(5):963-70. 4. Sraphet S, Ponsit T, Suksee N, Smith DR, Triwitayakorn K, Kongsawadworakul P. Genetic Linkage Map of Cassava (Manihot esculenta Crantz) Based on Rubber Tree and Cassava Simple Sequence Repeat Markers. J Crop Improv. 2016;30(5):552-61. 5. Boonchanawiwat A, Sraphet S, Whankaew S, Boonseng O, Smith DR, Triwitayakorn K. Mapping of quantitative trait loci underlying resistance to cassava anthracnose disease. The J Agric Sci. 2016;154(7):1209-17. 6. Thaikert R, Sraphet S, Boonchanawiwat A, Boonseng O, Smith DR, Roytrakul S, et al. Identification of Differentially Expressed Proteins in Cassava Infected with Colletotrichum gloeosporioides f. sp. manihotis. J Crop Improv. 2015;29(6):728-46. 7. 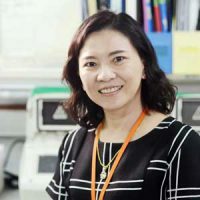 Whankaew S, Sraphet S, Thaikert R, Boonseng O, Smith DR, Triwitayakorn K. Validation of a reference gene for transcript analysis in cassava (Manihot esculenta Crantz) and its application in analysis of linamarase and α-hydroxynitrile lyase expression at different growth stages. Afr J Biotechnol. 2015;14(9):745-51. 8. Sraphet S, Smith DR, Triwitayakorn K. Isolation and Characterization of Microsatellite Loci and Genetic Diversity in Cassava (Manihot esculenta Crantz). J Crop Improv. 2015;29(4):447-54. 9. Sraphet S, Saengsri A, Smith DR, Triwitayakorn K. Genetic analysis of Cheirostylis species based on microsatellite markers. Plant Genet Resour-C. 2015;13(03):286-9.